Dr. Balkan has a doctorate in Sociology from UCLA with an emphasis on criminology, deviant behavior and mental illness. Dr. Balkan has served as a research consultant for the Los Angeles County Probation Department, the Los Angeles Department of Mental Health Social Services, and the "gang unit" for Los Angeles County. 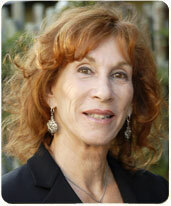 She has taught various Sociology courses at UCLA and Los Angeles Valley College. In addition to her many years of research experience, she holds a private investigator's license in the State of California.